...but an effective corporate responsibility programme is helping to feed hungry NZers. If there is a textbook example of corporate social responsibility, it maybe comes with the relationship between KiwiHarvest (delivering millions of kilograms of unwanted food to needy New Zealanders) and Goodman. It's a perfect concept and a perfect fit; KiwiHarvest rescues fresh food and diverts it to the plates of hungry Kiwis, many of whom can't feed themselves. 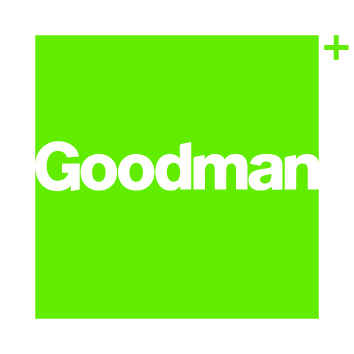 Goodman manages a $2.6 billion portfolio of properties which provide, as the company puts it, "logistics space for the world's greatest ambitions". There is probably no greater ambition than wishing to feed the world's hungry people. KiwiHarvest founder Deborah Manning – who began the food service in 2012 as a one-person effort from the back of her car in Dunedin – says Goodman are more than helping with that. Goodman manages the NZX-listed Goodman Property Trust and uses its charitable foundation to sponsor KiwiHarvest, providing a headquarters and launch pad for the trucks which deliver the food – plus room to grow. "Three years ago, Goodman said to us that we should come up to Auckland and that they would help us with a headquarters, a refrigerated truck and ongoing support," says Manning. "But we have now completely outgrown those premises, in Ellerslie, to the extent that we were turning down perfectly good food because we simply couldn't handle it." The new premises, in Goodman's state-of-the-art Highbrook Business Park in South Auckland, is three times as big and will allow the food charity to expand its operations. Before exploring that further, however, some numbers are required – not only to illustrate the scope of their work but also what would not be occurring if KiwiHarvest and Goodman were not working together. Globally, the production of food and delivery to those who need it is so imperfect that an estimated third of all food (1.3 billion tonnes a year) is wasted. In New Zealand, it's estimated 103,000 tonnes of food from commercial sources is wasted annually; 60 per cent of food going to landfill is edible – enough to feed between 50,000-80,000 people for a year, while households waste an estimated $872m of food annually. KiwiHarvest works with food producers and retailers to intercept this process, usually turning fresh food around and delivering it to those in need same day. Since 2012, they have rescued over 2.4 million kg of surplus good food, delivering the equivalent of 7m meals to communities in need, Manning says. Put another way, between 80,000-100,000kgs of perfectly good food is rescued every month. And where does it go? Manning points out that one in five New Zealand children live in households without access to enough or healthy food. About 270,000 live in poverty. Meanwhile 3.4 per cent of households report never being able to afford to eat properly while a further 16.4 per cent can only sometimes afford to eat properly – about 20 per cent of Kiwi households are sometimes or always at risk. KiwiHarvest began when Manning, a Dunedin lawyer, was moved by media reports on poverty and children going to school hungry. When she read about people retrieving food from skips, she realised food rescue was her reason for being. As a one-person operation, she realised she needed help the day her car was so full of bread that she could not see out the back of it and when she was offered a tonne of onions – realising she could no longer work from home. "Access to nourishing food improves physical and mental health and well-being. It empowers people by contributing to their self-confidence, contributes to improved livelihoods and ultimately creates stronger communities." Manning is getting that feeling all over again with the impending move to Highbrook. She says the move will allow the charity to expand: "It's a place where a truck can pull up, 20 tonnes of food can be unloaded, recorded, re-packed and be heading out within an hour for someone's dinner table. "The new HQ will also allow us to rescue more bulk food. By that I mean food from higher up the value chain – not just food from supermarkets, for example, which is food nearing end of its journey. It's food (mostly vegetables and fruit) from growers and manufacturers. "Things can go wrong in manufacturing; it could be that food is prepared but with the wrong sauce. It's a perfectly good sauce but the label says the food contains a different sauce. It often costs them more to re-package or re-label than dumping it, so they dump it. That's where we come in – and that's what Goodman and Highbrook will allow us to do more of." Through the Goodman Foundation, Jonathan Simpson ( Goodman's Head of Corporate Affairs), says around $400,000 in financial support was provided to charities last year with KiwiHarvest a key partner: "Highbrook is especially desirable as it positions KiwiHarvest closer to South Auckland, where the need is greatest. The greater warehouse space and ability to rack goods will significantly improve their distribution capability; the flexibility of the space will help continued growth." Manning says the relationship with Goodman is one of family: "They don't just provide money and headquarters; they don't just talk about it, they walk the walk as well. They have become like family for us – we go to them for advice, for contacts, for their views on how we might best tackle problems."